Entrust Lubricating Odor Eliminator by Fortis Medical Products is a gentle lubricating odor eliminator that is specially formulated to be gentle to the stoma and tissue. Rather than masking odors, the Entrust Lubricating Odor Eliminator actually lives up to its name without the aid of added scents. 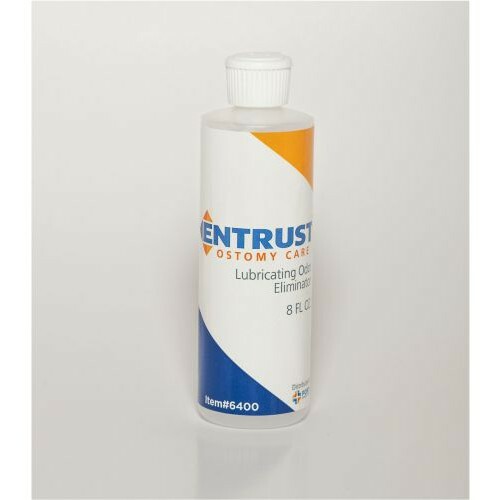 Entrust Lubricating Odor Eliminator lubricates the ostomy pouch to facilitate cleaning, by making draining easier as well as helping to minimize "pancaking." Entrust Lubricating Odor Eliminator is a sure fire way to help ostomy patients go about their day more securely both in public and at home. Vitality Medical also carries other odor eliminators such as Hollister m9 Odor Eliminator Spray and Adapt Lubricating Deodorant. Eliminates Odor Rather Than Covering It Up. No Smell, No Added Scents. Lubricates Pouch for Easy Draining. Helps Maintain View of Stoma. Clear Color Helps Monitor Output Without Distorting It. Easy to Control Nozzle For Personalized Product Application. Why so many drops for older people?!? My stepfather has had an ostomy bag for 6 years now. The smell can be More than overwhelming on a daily basis! However, I am Sure he does NOT enjoy having a bag attached to him 24/7 & dealing w Any of it either. He is Not the most observervant And there is often “bag contents” left somewhere in the main bathroom. Unfortunately, my (Much younger than my stepdad) Mother unexpectedly passed away And he is now One of my utmost priorities! He is 81, not the most attentive, is mourning And now I am asking him to do Extra by adding 10-15 drops of this odor elimination solution?!? I can’t be here w him every second of the day or ask-expect him to totally change his ways, I understand that! But 10-15?!? Drops per bag?! ?